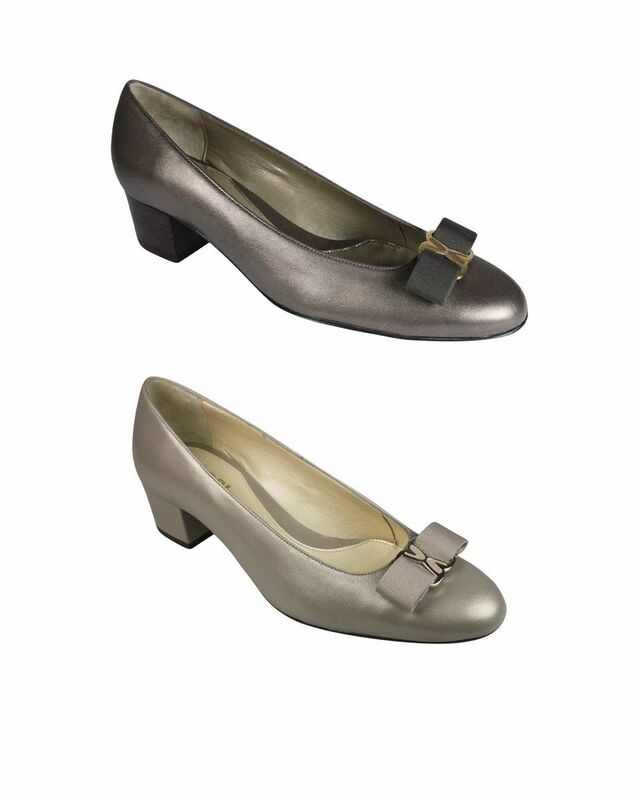 Elegant leather shoe with timeless front bow detail. Metal trim to front, leather sole and a 1.5” block heel. D fitting.